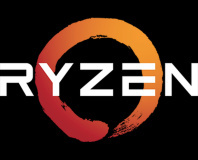 AMD has officially begun shipping its Bristol Ridge accelerated processing units (APUs) based on the new AM4 platform, ahead of the long-awaited launch of its Summit Ridge Zen products. 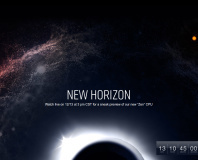 Described by AMD as 'seventh-generation' processors, the new Bristol Ridge processors are based on Excavator CPU cores and launch in 65-watt and 35-watt variants with up to four cores. According to AMD's internal testing, the range-topping 65W A12-9800 beats out its previous-generation 95W A10-8850 at both 3DMark 11 GPU and Cinebench R11.5 single-threaded CPU benchmarks while approaching - though not quite reaching - Intel's rival Core i5-6500's CPU performance. The biggest change, though, comes in the socket. Rather than the old FM2+ socket format, the new Bristol Ridge APUs require an AM4 socket. 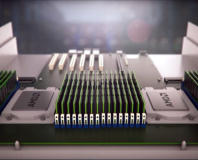 Designed to support DDR4 memory, PCI Express Gen 3.0, USB 3.1 Gen. 2, Non-Volatile Memory Express (NVMe) and SATA Express, the AM4 boards launching alongside Bristol Ridge are to be forwards-compatible with the Zen-based Summit Ridge parts just over the horizon. AMD has not yet confirmed retail availability or pricing for non-OEM Bristol Ridge processors or AM4 motherboards.